Candida is a fungus that is normally found in your body but becomes a cause of infection when it overgrows. Oral thrush is a candida infection caused at the lining of mouth and is more common in infants than in adults. About 50 percent of the overall population has candida in their mouths, yet it does not overgrow unless given the environment suitable for it. Fish oil is a natural supplement rich in omega-3 poly unsaturated fatty acids, and has been evaluated for potential benefits in managing candida infections, particularly oral thrush. You must always consult your doctor before starting any supplementation with natural products. Results of a study published in “Molecular Oral Microbiology” in February 2010 noted that omega-3 fatty acids have a good effect in inhibiting the growth of candida. The authors indicated that the omega-3 poly unsaturated fatty acids contained in the fish oil possess strong antimicrobial activities against certain organisms residing in the oral cavity, including Candida albicans, in addition to possessing strong anti-inflammatory effects. Further research is needed to confirm these findings. Considering the use of fish oil capsules for candidiasis, you must know the normal recommendations regarding the dose of fish oil. Clinical trials have shown a dose ranging from 0.4 g to 2 g per day to be considered within safe limits, says Drugs.com. Higher doses ranging from 2 g to 20 g per day have also been used and found safe, but should be used only under medical supervision. 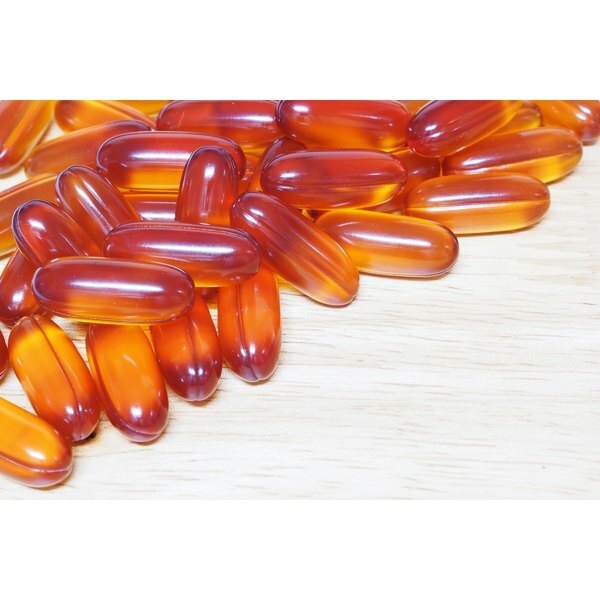 Fish oil is available in capsules or liquid forms. The use of fish oil capsules at recommended doses is safe and well tolerated; the only reported side effect is a mild stomach upset and fishy odor. Fish oil interacts with warfarin, enhancing its blood-thinning properties. Thus, people using warfarin should not use fish oil with it. Fish oil is not recommended for pregnant or nursing mothers, as there are documented side effects regarding its use during these conditions, says Drugs.com. No well-documented data is available regarding the toxicity of fish oil. Consult a qualified health care provider to learn more about fish oil supplements and optimal dosage that can help your condition. Keep in mind that fish oil should not be used to replace any conventional drugs recommended for fungal infections. Fish oil is not approved by the U.S. Food and Drug Administration to treat Candida infections. Medical News Today: What Is Oral Thrush In Babies? What Causes Oral Thrush In Babies?